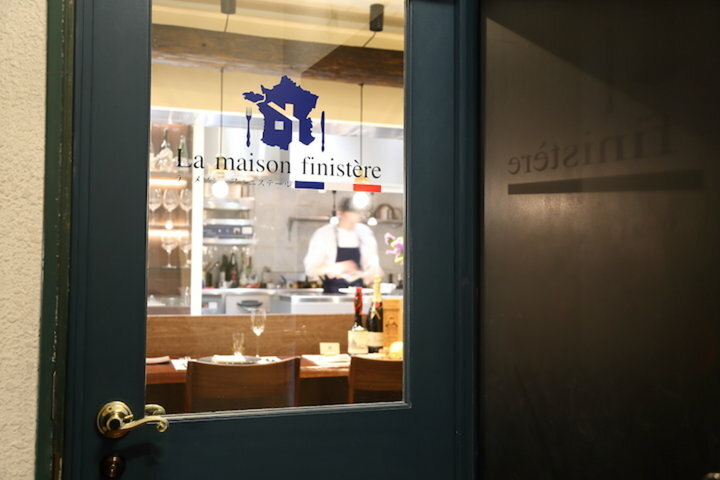 "La Maison finistère" opened in October 2017 in Ebisu, an area that draws many people with sensitive palates. 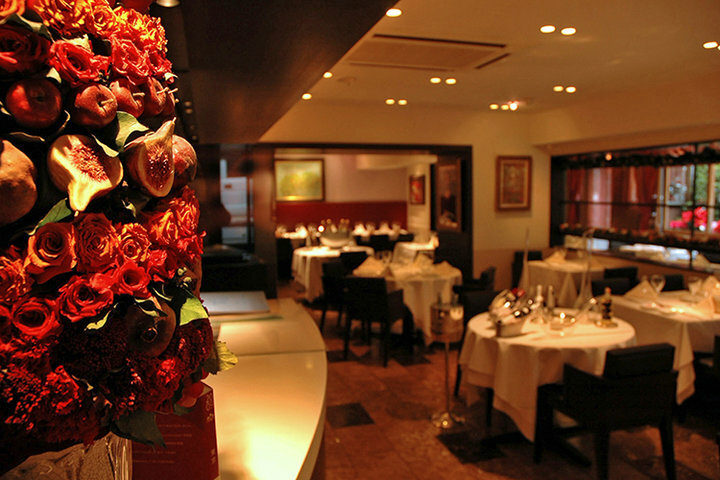 It is a restaurant popular for its cozy atmosphere and authentic French cuisine. 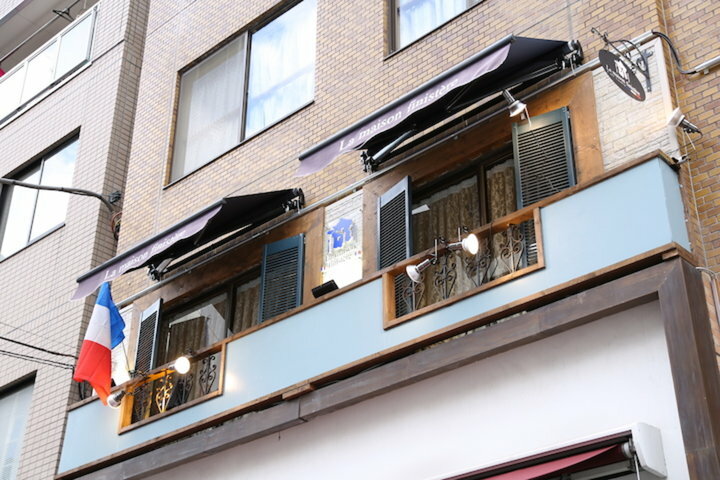 The owner-chef Tomomitsu Oki trained at French restaurants in Tokyo such as “Ginza Les Anges” before moving to France. 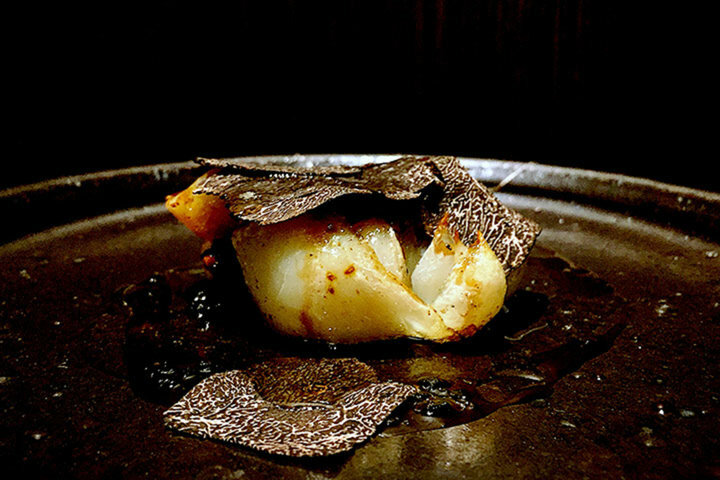 He acquired experience at a restaurant in Brittany as well as at Jean Paul Jeunet, an Arbois Michelin two stars restaurant, and at Vichy’s one-starred Jacques Decoret. 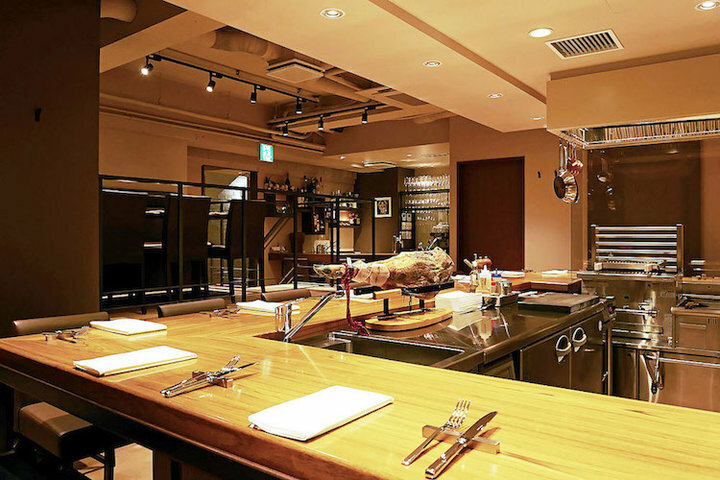 After he returned to Japan, he acquired a new appreciation for wine and cooking while working as the master chef at "Maxivin" in Roppongi for six years from 2010, and acquired sommelier certificate. 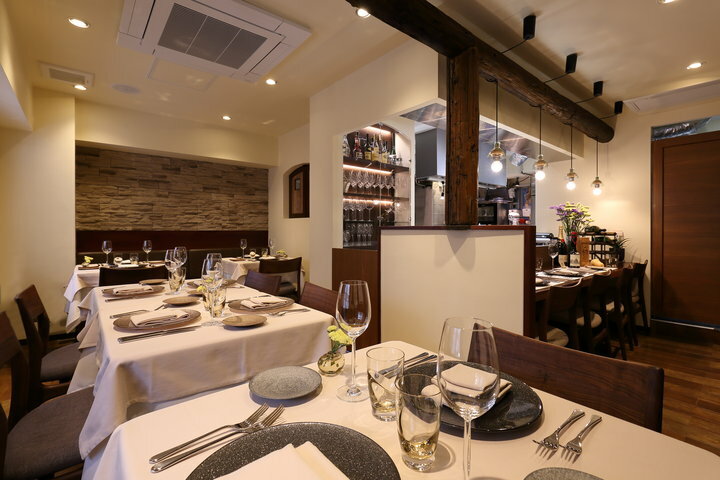 While maintaining his commitment to the techniques and culture of French cuisine that he learned over many years, he opened "La maison finistère," a small restaurant with 14 seats, where painstakingly prepared cuisine can be enjoyed together with wine. The interior of "La maison finistère" is based upon the image of a country home in the Brittany region where Chef Oki was trained and is a space built with wooden beams and brick that exudes a feeling of warmth. The courses includes dishes that change monthly and authentic French cuisine that emphasizes on the sauce. The variety of dishes using plenty of carefully selected ingredients, including meats from all over France and Europe, domestic fresh seafood and vegetables, and delicious ripened cheeses that match well with wine. This chef and sommelier proposes everything from aperitifs to wine and Digestif to suit guests’ tastes and the cuisine. While the cuisine and wine are authentic, Chef Oki says, “My aim is to have a restaurant for everyday use and so I hope that young people in their 20s won’t hesitate to dine here.” There are four counter seats and ten table seats and the entire restaurant can be reserved for parties of eight people or more. This is a versatile cottage-style restaurant that can be used for various occasions, including group dining, welcome, and farewell parties, or dining with children.